I was a little disappointed to see the Wikipedia’s right up on the historic town of Hampden, Maryland. So I decided to fill in the blanks so to speak of some major events which I found to be missing. I’m not sure how to send in an update to the site, and perhaps my information would not be of interest to the authors, so I decided to post another version of Hampden’s history. 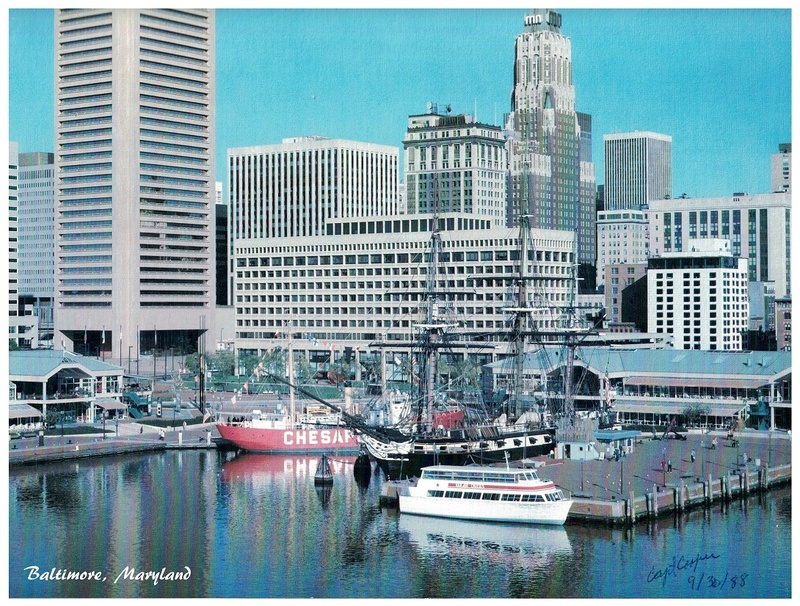 Many people do not realize today, that Baltimore was once considered a small “Southern Town”, as found written in many an encyclopedia as late as 1930 -40s, so perhaps in this era of political correctness and being so close to the nation’s capital, many of the neighborhoods “anti-northern sentiments” have been sanitized; like the recent decision by congress to ban confederate battle flags in our Nation’s cemeteries as to not offend minorities? I’m not sure, but it seems to me the SCW (social culture warriors) are now more important than real warriors of our past, at least from my perspective. Speaking of the American Civil War, I once spoke with elderly women who we called Mss. Bertha, who had a home located at the top of 34th Street & Roland Ave. She was a nurse during the first World War and had moved to Hampden to practice medicine. She had grown up on a farm in Virginia and remembered Confederate troops camped out on her father’s farm. She still held quite a bit of bitterness towards the Union. When I asked her why she was so angry, wanting to know her justification for taking up arms against the United States, she pounded on the table and shouted: “Because the Federalist’s invaded Virginia – that’s why!” I was a little taken back by that, and never pushed the issue again in my visits. I also spoke with a soldier who was a part of the 1915-1916 expeditionary force to Mexico, he told me he was sent to help quell the violence of Poncho Via, in connection with the New Mexico attacks. I asked him what it was like in “those days” with Mexico, he said; “that it is no different than today, we still have to send forces in to help curtail violence and U.S. Interests in those areas” (smiling). My Grandfather was born “at the bottom” of Hampden in 1898, his home facing the famous meadow mill tower on clipper mill road. I used to love listening to his many (rougher) stories about the neighborhood, which will remain unpublished as they are not politically correct, but rather “tough, manly, no-nonsense” tales, as times were hard, the men were tough, and not too many people ever worried about “others feelings” in the daily living of life. After my time in Hawaii aboard Coast Guard Cutters, I served in “street ministry” while living in Hampden, and was taught by a minister who specialized in Deliverance from 1984-1989, while working for the Baltimore Maritime Museum as a seaman aboard the Lightship Chesapeake, under the direction of the late Capt. Robert Cooper, USNPS. After the war of 1812, around 1814 the (Experimental) Baltimore Clipper Schooner started being produced for fast moving commerce over the waterways. One such waterway which was utilized was the Jones Falls, providing access to the Hampden Mills, by the relatively shallow draft vessels. During the American Civil War, many workers in the cotton mills despised President Lincoln who directly affected their lively hood within the textile industry. It was said that it was not uncommon for bricks and stones to be hurled at his railroad car when it passed through the nearby area of Hampden on the Baltimore and Ohio Railroad. Professor Leo Daft (1843 – 1922) was an English professor and builder of early American urban railroads. He led the construction of an electrical railroad in Newark, New Jersey, in 1883, of the Baltimore and Hampden Electric Railway in the Hampden neighborhood (Union Ave line) of Baltimore in 1885. At the start of WWI, recruiters from the Army Navy and Marines visited the residence of Hampden in an effort to recruit healthy men eligible for military service. A Marine Corps Doctor was on staff, to help make an assessment of the recruits’. My Grandfather was one such candidate looking to join the USMC, the doctor had him run a heart pounding lap around the block, then listened to his heart. He said your fine, sign up at the recruiter table. At which point my grandfather joined the Navy. Silent movies complete with a piano player could be once enjoyed along Hampden’s 36th street for a nickel. Hampden had 4 Medal of Honor winners from WWII, once displayed in a mural on the corner of Roland Ave and 36th street (Historic Hampden Hall). Directly across the street can be seen a casting of the famous Indian Head (Buffalo) Nickel, above the entrance to the concrete building. In 1988 the Hampden 100 year Centennial took place orchestrated by the Hampden Centennial Committee. President Ronald Reagan issued a proclamation honoring the “oldest continual neighborhood” within the United States, the Town of Hampden Maryland. I never heard anyone say “HON” in Hampden yeat yet, for did – you eat yet – but never HON!